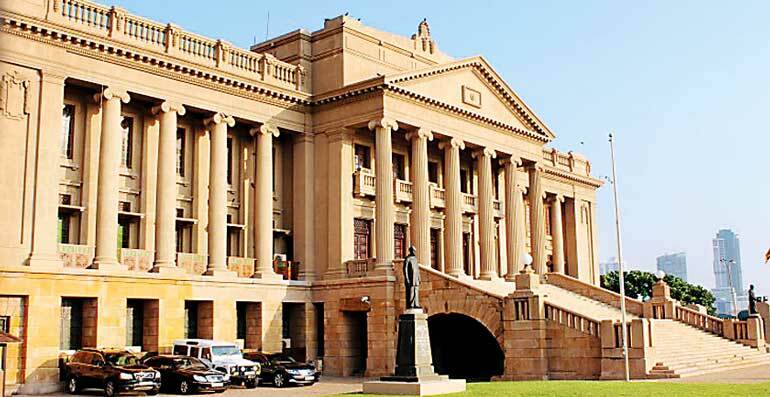 Staff at the Presidential Secretariat and other institutions that come under its purview have decided to donate a one-day salary for the welfare of flood victims. A decision has also been made to cancel all Vesak-related activities including Bakthi Gee and Dansals organised by the Presidential Secretariat and all institutions under it. Funds allocated for these programs will instead be used to provide necessary facilities to flood victims in addition to donations by staff, the President’s Media Division said. President Maithripala Sirisena has given instructions to the Secretary to the President to establish a fund using these donations. The funds will be utilised to fulfill the present needs of the victims as well as to provide facilities like health, drinking water and basic sanitary when they return to their homes. Secretariat staff has taken actions individually and collectively to supply dry rations and clothes to those who have been displaced due to the adverse weather conditions. The Government, District Secretariats, Divisional Secretariats, the tri-Forces, Police, Civil Defense Department, all government institutions, the business community in the private sector and the media are carrying out urgent relief programs at present. If any area or the people in the areas affected by adverse weather conditions have not been paid attention or if they have not received sufficient relief, the Presidential Secretariat requests them to call the dedicated telephone number 1919.